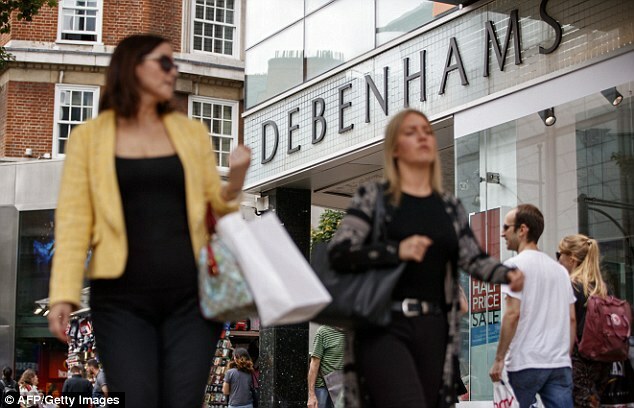 The mood around shopping and spending improved last month, according to the GFK Consumer Confidence index, which shows a three-point rebound from -10 in July to -7 in August. Shopping sentiment, which has now been in negative territory since March 2016, nudged up despite growing concerns that the UK could crash out the UK without a deal. ‘Consumers are no doubt aware of the incessant Brexit noise, the core debate about whether ‘no deal is better than a bad deal’, the accompanying threats, warnings and uncertainties, the wild hopes and dark fears, and the daily ups and downs,’ said Joe Staton, GfK’s client strategy director. ‘But are consumers putting their hands over their ears and quietly saying: let’s just wait-and-see? We are just months away from the Brexit crunch but there is no sign (yet) of any crash in consumer confidence. GfK’s so-called ‘major purchase index’ – an indicator of how shoppers are feeling about splashing out on expensive ‘big ticket’ items – jumped eight points last month, returning to positive territory at +6. This is good news for furniture retailers in particular, which have been knocked amid two years of relative economic uncertainty. 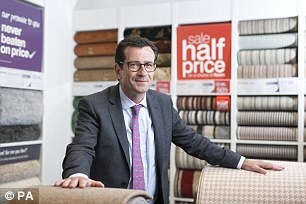 Floorings giant Carpetright slumped to a loss earlier this year and is undergoing urgent restructuring as sales and footfall plummeted. Meanwhile, Multiyork and Feather & Black buckled into administration, blaming weakened consumer confidence for their woes. GfK said the index that measures changes in personal finances during the last 12 months increased three points to +4, two points higher than this time last year. And the measure of the general economic situation increased two points, but remains low at -26. While the overall index currently measures -7, GfK points out that this is a far cry from the ‘worrying -39’ recorded at the height of the financial crisis in July 2008.